Maya knew something was wrong… The stranger’s glowing hands were a big tipoff. 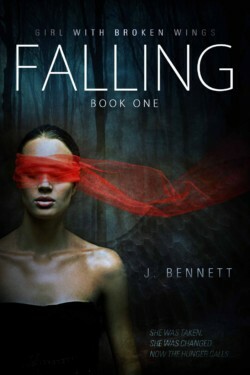 FALLING is a gripping paranormal adventure that combines all the foul-mouthed humor of the BLACK DAGGER BROTHERHOOD series with the action-packed, love/hate family dynamics of the CW show SUPERNATURAL. When the stranger injects her with a DNA-altering serum, Maya prays for a savior. Instead, she gets a double helping of knight-in-not-so-shining-armor when two young men claiming to be her half-brothers pull off a belated rescue. Now Maya is swiftly transforming into an “angel,” one of the energy-sucking creatures her brothers have spent their whole lives trying to destroy.